It's official! 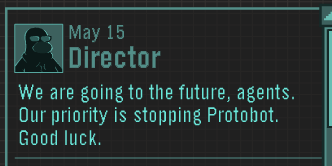 It has now been confirmed that Protobot will be waiting for us in the future. He's very dangerous so lets get ready! Leave a comment on what you think of the Future Party! Thanks for reading! Club Penguin Hints; come back for more Club Penguin cheats!